For the drainage from wound under negative pressure post operatively. 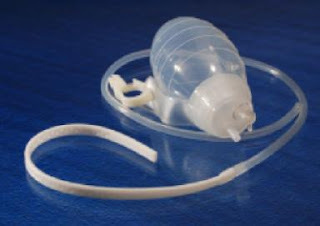 Silicone wound drainage system is provided with silicon flat drain tube along with silicon container of 100/200/400 ml. Bellow is equipped with non return valve (NRV) to prevent reflux of fluid. Hanging clip provided for hanging during drainage. Drain tube 20 cm long, flat 7x3 m, easy placement & resist accidental slip out. Main connecting tube 60 cm attached with flat drain tube. It can be easily connected with bellow container for the drainage. The drain tube is fully RO detectable for proper placement.